A peace delegation from the Houthi movement to the UN-sponsored negotiations in Geneva to try and find an end to the Yemeni Civil War is being blocked from flying out of Yemen ‒ by the Saudi-backed Yemeni government they’re supposed to be negotiating with. The UN Security Council gave their blessings on Wednesday to the negotiations, which are aimed at building confidence between the two sides: prisoner exchanges, humanitarian access, reopening Sana'a airport and various economic issues will be discussed, UN spokesperson Alessandra Vellucci told Reuters. However, the Houthis' Al-Masirah TV said the UN had been unable to "secure authorization" from the Saudi-led coalition backing the Yemeni government for an Omani plane to land in Sana'a and transport the rebel delegation, along with wounded fighters, out of the country. In a statement on Yemen's official SABA news agency Thursday, the Houthis said the Saudis are "still refusing to give permission to an Omani plane" to land. They said they need to "ensure the safety of the delegation" and require a guarantee that they would be allowed to return "smoothly" to the Sana'a airport. While the Houthi rebels control the capital of Sana'a and most of the north of the country in terms of territory, the government's coalition, which has the benefit of US-made warplanes flown by the Royal Saudi Air Force, dominates the skies over the entire country, France 24 noted. Meanwhile, in Geneva, UN Special Envoy for Yemen Martin Griffiths has been begun consultations with representatives of Yemeni President Abd-Rabbu Mansour Hadi's internationally recognised government, Reuters noted, exploring what would be necessary to come to some sort of agreement between the two sides. 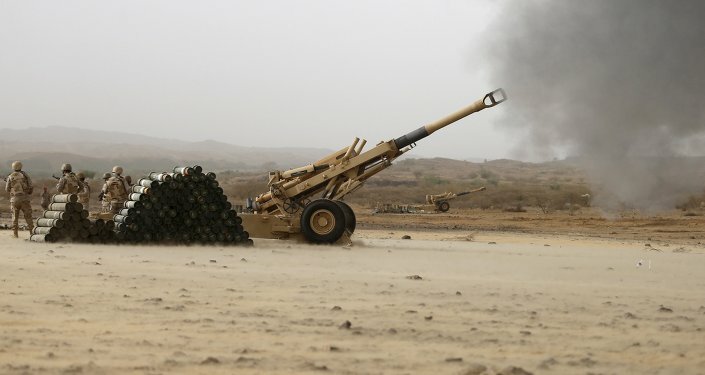 A particular topic of discussion was the fate of the embattled, front-line port city of Hodeidah, which is presently controlled by the Houthis. Two sources in the government delegation told Reuters Thursday that the Houthi delegation had until noon the following day to get to Geneva for the talks. However, that deadline passed without any further comment about whether or not the peace talks were still on. Sana'a residents expressed to AP their hopes about the talks. One man, a lawyer named Ameen al-Bareihi, said, "We hope these negotiations will lead to a basis on which an end to bloodshed can be built, because the Yemeni people have reached a state of exhaustion… We hope that the two sides can calm down in order to reach a solution." "If you could only see the situation here," said Said Mohamed al-Senawy, who had been forced to flee his home. "God willing, they will come out with a solution… We are Yemeni, our blood is all one, and our land shouldn't be divided and our blood shouldn't be spilled — especially for people with outside interests." France 24 noted that neither side has expressed much hope in significant advances being made at the negotiations. The last round of talks, in Kuwait in 2016, failed to broker a power-sharing agreement even after 108 days of meetings. Following the collapse of that summit, it took the Houthi delegation three months to get from Oman back to Yemen, again stymied by the Saudi-led coalition that blocks their exit now. The Houthis, a militant group from the north of the country who follow the Zaidi sect of Shia Islam, were swept into national prominence in September 2014 when they stormed the capital of Sana'a and forced the Yemeni government into a power-sharing agreement after mass protests over fuel prices shook the capital. In January 2015, when the Houthis stormed the presidential palace and forced Hadi to resign, he fled to the southern city of Aden and rescinded his resignation, calling the Houthi actions a coup d'etat. He subsequently fled to the Saudi capital of Riyadh in March 2015, and at his urging, Saudi Arabia has become increasingly involved in the war, invading the country, conducting countless airstrikes and imposing a blockade that threatens millions of Yemenis with famine. The blockade has also denied the Yemeni people medical aid, endangering millions as a cholera outbreak threatens to spiral out of control. Oxfam America noted that between the start of the Saudi intervention on March 26, 2015, and August 9, 2018, a total of 17,062 Yemeni civilians had been killed, and that most of them, 10,471, were victims of airstrikes by the Saudi-led coalition. These precarious talks follow what the UN says was the deadliest month for Yemeni civilians this year: 981 civilians were killed or injured in August, including more than 300 children. That includes the roughly 40 children killed in a school bus struck by a Saudi-fired, US-made laser-guided missile on August 9. "Nothing appears off-limits in Yemen anymore, where gathering for weddings and funerals or going to market or school can be life or death decisions," Abby Maxman, Oxfam America's president and CEO, said in a Thursday statement. "As the civilian death toll continues to climb, the United States is poised for another massive arms sale to Saudi Arabia and the United Arab Emirates. However, the recently adopted defense authorization bill requires the US to stop mid-air refueling of Saudi and Emirati planes unless the State Department can certify that the two countries are taking steps to reduce civilian casualties, make peace and improve the humanitarian situation." While the Yemeni government is backed by the Saudis and their allies, the Houthi movement has established ties with other Shiite movements in the region, including Saudi Arabia's regional rival of Iran, where Twelver Shia Islam is supreme, and just last month the reception of a Houthi delegation by Hezbollah in Lebanon provoked controversy in that country's government, Sputnik reported. 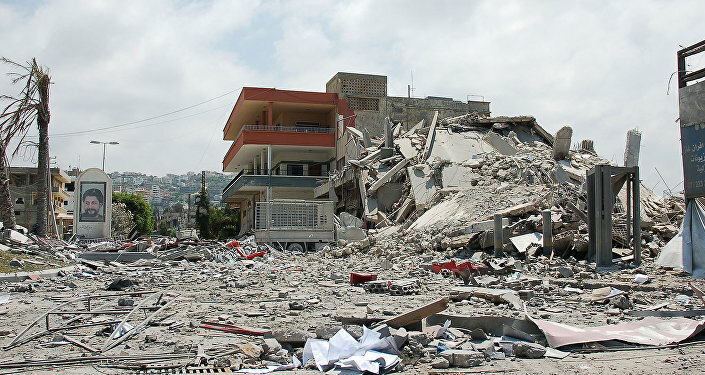 Oxfam noted that "all warring parties continue to commit violations of the rules of war."